Join our team! 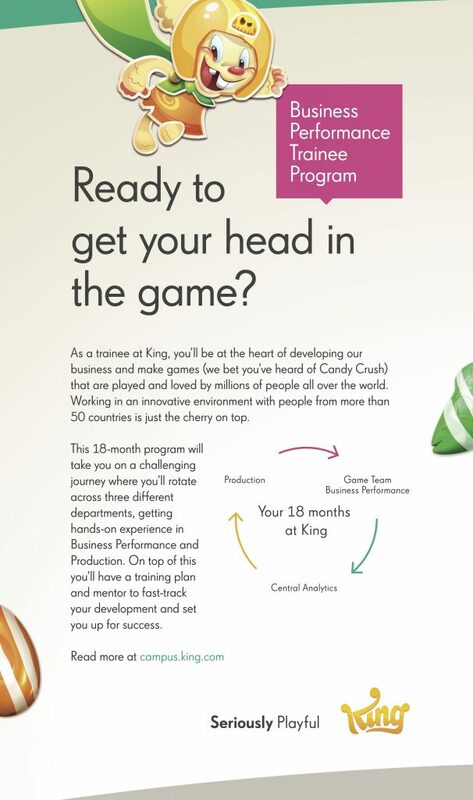 King is pleased to introduce its Business Performance Trainee Program starting in September 2019. This unique opportunity will take you on a challenging journey where you will work to evolve our games and our business. You will be at the heart of helping make games that are played and loved by millions of players. Make sure to apply by 3rd of March!